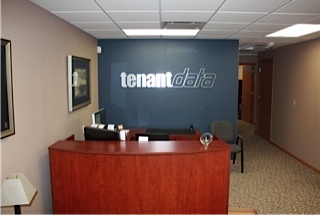 Businessmen & Landlords, Bob Anderson & Steve Anderson and college student Jared Johnson formed tenant data with platform programming provided by Mark Horan. The service rolled out on November 1, 1992 to landlords and property management companies in Nebraska and Iowa. The program was initially installed on our customers’ computers. In 2001, we moved the service to the Internet and we have since upgraded our platform several times. We appreciate input from our users and longtime customers/subscribers to help make our system the best available for screening prospective tenants. In 2009, Tenant Data acquired Associated Credit of Medford, Oregon. We continue to have two staff members living & working in Oregon and our service area now includes all of Oregon, southern Washington and Western Idaho. Tenant Data also has a large membership of subscribers throughout Arkansas and a local salesperson based in the Little Rock area. When did they move in? What was the rent and security deposit amounts? Did they have any lease violations such as parties, disturbances, evictions or skips? Did they have damages or other violations of their lease? Do the still owe money for back rent, utilities or cleaning/damages? How did they maintain their space when they lived there? How did they return it to the landlord after they moved out? The concept of our database is for good renters to establish a record of being a desirable tenant even if they have substandard credit or minor criminal convicitons AND for landlords and property managers to avoid renting to an applicaant with a poor tenant history. This can be shared with other landlords in a credit report-type database. Landlords and property managers can submit that information into our database at no charge to be shared by other Tenant Data subscribers (private landlords, large apartment complexes or property management companies). And… In light of the recent HUD guidance letter on using criminal background records to deny tenancy on your applicants, so this makes the Tenant Data tenant history report database even more useful for subscribers across the country! In general, most property managers do put more emphasis on a person’s rental history to make a decision on whether to accept or deny housing. Subscribe today to begin reporting your current & former tenants to our database! Ultimately, we plan on our property owners and managers to be able to add a renter’s payment patterns (good & bad) to the tenant’s credit bureau report. You can use this as leverage to remind your renters that it is important for them to pay the rent on time, to respect their neighbors and the rules of your lease agreement. Their poor record as your tenant may hinder their ability in the future to obtain a credit card, car loan, or even another place to live. Their good experience should also be reported to our database, which can benefit them. Reporting this information is critical and beneficial to all Tenant Data landlord and property manager subscribers. Tenant Data is considered a Consumer Reporting Agency (CRA) and we are governed under the Federal Fair credit reporting Act (FCRA) and the CFPB (Consumer finance protection Bureau). We are members of several Local Landlord And Property Management Associations such as National Apartment Association and the Institute of Real Estate Management (IREM). Our staff attends conferences put on by professional screening associations to help us keep up to date on the constantly changing laws and rules affecting owners and managers of rental real estate. We also like to give back to charitable organizations that help the lives of people affected by homelessness, hunger, and the Red Cross (who are the first responders at rental property fires and other disasters to assist displaced renters find a new place to live and provide immediate needs such as clothing, toiletries and food).